This Caribbean home defies the norm of bright tropical hues. Black and white is the main color palette throughout the house. The home has a eclectic chic vibe to it. 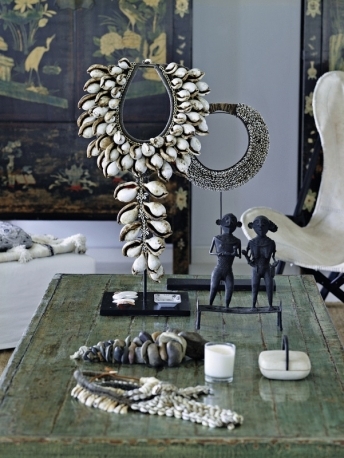 I am drawn to this home filled with tribal art, vintage finds and artifacts from around the globe. 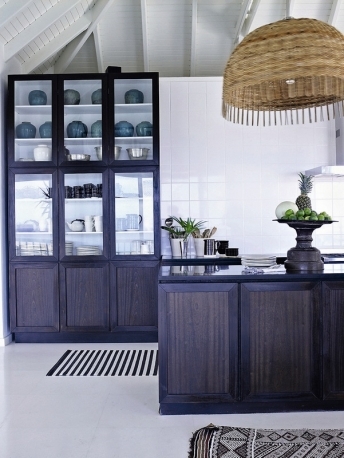 The Danish couple who own this place have tried to give it a sophisticated look with the languor of the tropics. How is your week coming along? What did you think of this home? I would love to know! Gorgeous house! Love the kitchen and bedroom - so lovely.